If you’re a spelling snob with a sweet tooth, you’ve encountered the question: Is it a doughnut or a doughnut? Phonetic-based spelling reform aside, let’s take a closer look at the doughnut chains: Dunkin’ Doughnuts and Mister Doughnut, two chains founded by brothers-in-law in the mid-1950s. Shutterstock/Sam HowzitDunkin’ refers to its sweet treats as ‘doughnuts’ in all instances. 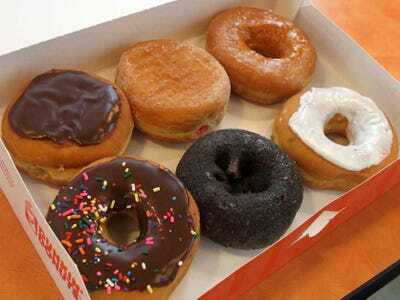 The first Dunkin’ Doughnuts was opened in 1950, a revamp of William Rosenberg’s coffee-and-doughnut shop Open Kettle. Rosenberg began franchising in 1955, opening the 100th location in 1963 and 1,000th shop in 1979. A Dunkin’ Doughnut spokesperson told Business Insider that the company did not have additional information on why Rosenberg spelled Dunkin’ Doughnuts as “doughnuts” versus “doughnuts,” though the chain could confirm that it has been spelled that way since 1950. The first Mister Doughnut opened in Boston in 1955, and expanded to nearly 1,000 locations in the US, before its American business was acquired by Dunkin’ Doughnut’s parent company in 1990. 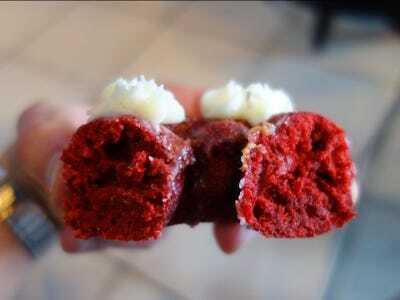 Today, Mister Doughnut has a booming business in Asia, with more than 10,000 locations worldwide. As pointed out by grammar blogger Grammar Girl, the rise of Dunkin’ Doughnuts (and, to a lesser degree Mister Doughnut), ran parallel to a significant growth of the usage of of “doughnut” spelling since the 1950s, according to Google Books data. In recent years, doughnut has gained ground even more rapidly. 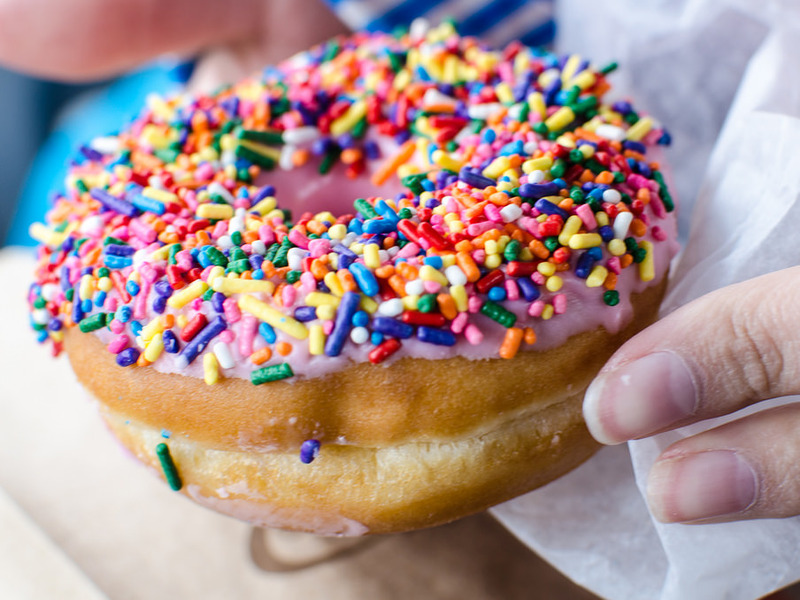 Since 2005, the use of the term doughnut has risen steadily, according to Google Trends, while doughnut has remained constant — perhaps, in part, due to the character constraints connected to social media. Still, don’t count the doughnut out just yet. 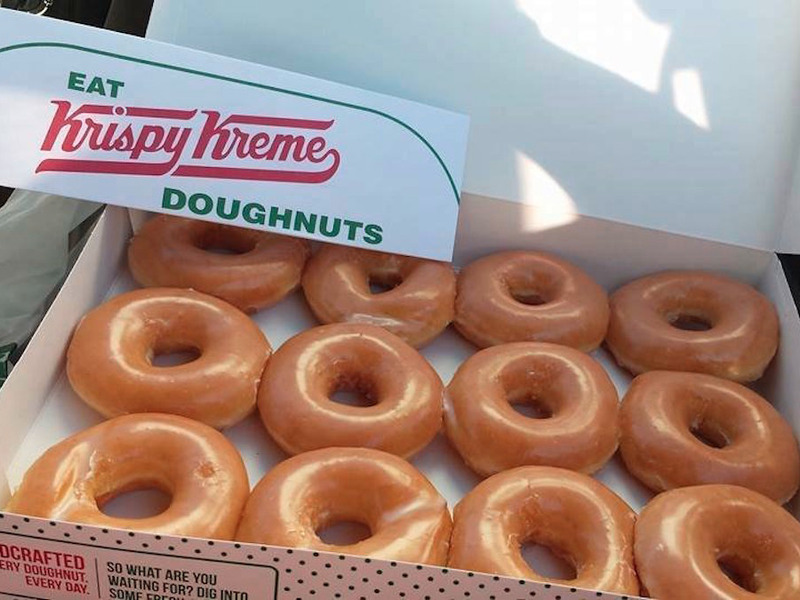 Outside of the US, “doughnut” is still the term of choice, although Dunkin’ Doughnuts does use the term doughnut in the UK. refers to doughnut as a variant of doughnut. But what about when discussing Dunkin’ Doughnut’s sweet treats? 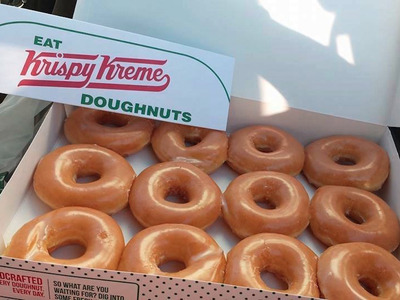 Can a doughnut chain sell doughnuts? At first, it’s a counterintuitive answer. How can Dunkin’ Doughnuts sell doughnuts, not doughnuts? However, upon further reflection, the fact there is even a question signifies the power of the chain. Sixty years ago, there was no doughnut versus doughnut debate. There was just the doughnut — and a coffee and doughnut shop in Quincy, Massachusetts called Dunkin’ Doughnuts. Today, the majority of the best doughnuts shops in America sell “doughnuts” not “doughnuts,” with names such as Bob’s Doughnut and Pastry Shop, Sugar Shack Doughnuts, and The Doughnut Man. Dunkin’ may have created the doughnut, but plenty of other chains have been willing to adopt it.